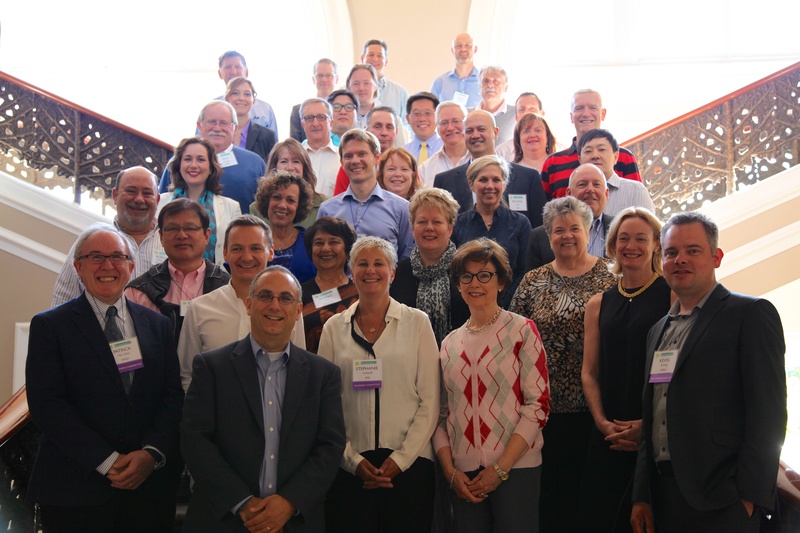 Karen Lewis, ASPE President, and Karen Reynolds, ASPE Vice President of Operations, participated in the Global Network for Simulation in Healthcare (GNSH) annual meeting in Edinburgh, Scotland from July 7th through the 9th, 2014. The GNSH is comprised of the leaders of simulation organizations throughout the world, including affiliates, SSH, INACSL, SESAM, and ASPiH. This year, the meeting included leaders from the simulation commercial industry as well, providing over 40 participants the opportunity to join in a dialogue about how to accomplish the organization’s goal of enhancing patient care, efficiency, and efficacy through healthcare simulation. Ways to engage and influence decision makers in government, professional and patient associations, and the broader healthcare industry to advance simulation:. Developing a targeted and meaningful investigation, evaluation, & research activity to accelerate the advancement of healthcare simulation. The member organizations committed to working together over the next year by developing a list of action items and work product. Additionally, the membership invited the commercial entities present at the meeting to join GNSH. With their inclusion, membership now represents at 24 simulation organizations. Posted on August 27, 2014 at 3:00 pm in Networking, News, Professional Development, Uncategorized	| RSS feed You can	trackback	from your own site.